I'm keeping the archives here because it's got some great stuff for writers (and I never throw anything away). With INSIDIOUS coming out in July and INVINCIBLE out next year, I'll still be out there talking books, baking, steampunkery, karate, fantasy, my journey and having fun along the way so I hope to see you out in the wide world somewhere, in-person and online! Thanks for the years of memories--time to make some new ones up! My eyes are dilated today. I had a doctor's appointment to check out a shadow and confirm there wasn't a retinal tear (there wasn't). Once I passed inspections and made a few comments about my glasses and Joy's injuries in my faction series, I was sent on my way with a pair of sunglasses against snow blindness after the Storm-That-Wasn't. It wasn't easy driving as I was squinting the whole way and giving myself a headache in the process. I got home wondering what I was going to do--I can't write, I can't read, I can't even watch TV (which I rarely do anyway); this is my writing time but it hurts to see and the light from screens and even reflecting off of paper is painful. I made lunch. I cleaned up. I wandered around my kitchen. The truth is, I often wonder what I'd do if I wasn't writing (besides having a normal, well-paying job like most aspiring Americans) and now I have my answer: nothing. I need to write. So I am squinting down at the keyboard instead of the screen, wearing sunglasses as I type and popping two Advil against the eyestrain because the truth is, I can't NOT write. So here's to the stubbornest among us: the artists who can't imagine doing anything else but weave and breathe story lines! News, More News & the Newest News (with Links Galore)! There is a lot happening in the world of the Twixt. First off, the third book in the series, INSIDIOUS, is now available for pre-order! Hooray! *confetti* *balloons* *sharp, pointy objects* It is due out on the shelves July, 2015 [stunning cover, TBA] and I think it's safe to say that I really pushed the envelope on this one. Dear readers, you won't *believe* what happens next! Secondly, INVISIBLE has been nominated for an award! 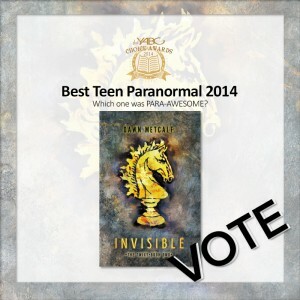 The YA Book Central's Reader's Choice Awards for Best Paranormal YA in 2014, to be exact! To be nominated is an incredible honor and normally I would not ask for more, but as everyone reading this is most likely a YA/MG reader and possibly a fan, PLEASE OH PLEASE GO VOTE FOR YOUR FAVORITE BOOKS/AUTHORS! If I happen to be one of them, all the better! Thirdly, my post for Barnes & Noble's blog is up where I talk about inspiration for INDELIBLE and defining moments in my life including bug legs, laser surgery and questioning what it means to be human. 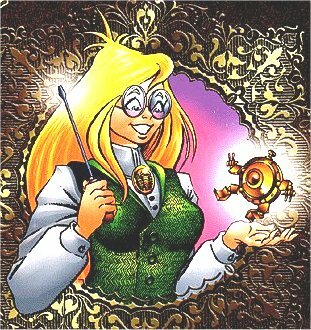 It's a little about where the world of the Twixt came from & a lot of fun to write! Getting to share my inspiration on B&N.com is something I never dreamed of happening--check off another writerly dream-come-true. Check it out: Twixt Series Author Dawn Metcalf Discusses Defining Moments and What It Is Like To Be Human. And, lastly, there is a great online review from Booklist online! My favorite bit? "Romance fans will melt for this new tale of the Twixt." I'm melting already. Hooray, go vote & I'll be here writing Book 4! If ever there was a day I needed a pick-me-up, it's today. 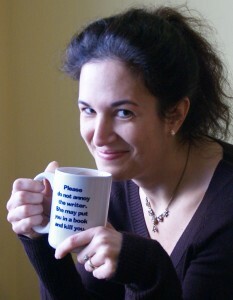 Between recent YA kerfluffles and the horrors in Paris, I think we could all use a smile so I grabbed one of my personal favorites from my archives marked "EMERGENCY: BREAK LINK FOR MUCH-NEEDED SMILES" and, once I vacuumed up the shatterglass, was able to access a fun guide to the "Language of Fans" by Kaja Foglio (of Foglio Studios fame). Now I want to do another steampunk tea party and hand out fans party favors! Yesterday, a fellow writer, Stacey Jay, was criticized for crowdfunding a project to develop a final book in a series that had been passed over by the publisher. When I came on the scene, the public critiques had gone well past pointing flaws in the business model and way into the personal and while I wouldn’t call what I saw “bullying” because that is not a term I use lightly, there was a lot of vitriolic name-calling, stabby fingers and public shaming as well as a large heaping sporkful of presumptions that made me both angry and sad. * The result was that she withdrew from social media and our writerly corner of the biblioverse, which we in the writing trenches called “home.” I offered sympathy and support, but it nagged me—these black holes of misunderstanding—and I thought I'd try to shed some light on the cobwebby bits of writing for a living. Okay, first off: writing is a job. It may be a hobby or a wistful dream for some people—like pro basketball or performing theater-in-the-round—but for those in the business of publishing, whether traditional or indie, crowdfunded or under contract, it is a job, which means it is work. It's not like a desk job where some days you are productive and other days you slack off, but you still get the same paycheck in the end; writing means being creative on demand (which, by the way, isn’t easy) day after day after day with only your integrity and grit and caffeine keeping you going, unless you’re really lucky and you have to do it on a deadline with people expectantly waiting for your to produce something brilliant so hup! hup! hup! Writing takes time and the bottom line is if you don’t write, it doesn’t get done. Period. 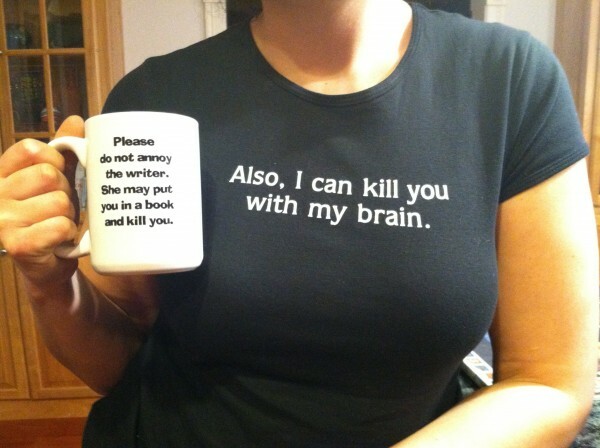 There are millions of things you can do by not-writing, but writing is the only way to finish the damned book. Obviously, this isn’t a 9-to-5 gig, but what might be less obvious is that if you are trying to “make it” as a writer, this job includes everything from writing to social networking, researching, updating, finding/keeping an agent or finding/keeping an editor, scheduling appearances, making promotion materials, running contests, paying postage and maintaining an online presence with your pros, friends and fans, which is more like a 7-day, sixty-hour work week squished into any available time slot with—and this is the important part—no guarantee of getting paid. That’s right. Unless you have a contract with an advance on royalties or a steady sale setup, you earn $0. Nothing. Nada. Zilch. Zero. 3. Let's Do the Math, Jayne. I am reminded of Jayne Cobb from Firefly: “Ten percent of nuthin' is...let me do the math here…nuthin’ into nuthin’…carry the nuthin'…” Right. Now let’s say you are one of the lucky ducks who has a contract with an advance (Go you! ), besides the fact that the amount varies widely, there is something else you have to consider when metaphorically marching in another author’s moccasins (or, more likely, bunny slippers): whether an author is getting five hundred dollars, five thousand dollars, fifty thousand dollars or a million dollars, this isn’t some flat fee that appears in a lump sum like Scrooge McDuck’s moneybags, this is an advance on projected royalties paid out for years because a single book may take anywhere from 1-3 years (often more!) and a series is stretched over 3-5 years (often more!) and, in the traditional model, these payments are made in increments that align to contract signings, acceptance of manuscripts and publishing dates (which, by the way, can fluctuate wildly based on the whim of rabid marmots and the flight patterns of European swallows). During these years, authors have to pay taxes like any other law-abiding, self-employed person, which amounts to quarterly payments of roughly 25%. Also, if an author has an agent—and many do—their agent earns 15-20% of whatever book deal they brokered, which more than pays for itself since great agents work hard for their clients, and this is taken off the top. (i.e. Money from a publisher is paid first to an agency, which then forwards the remainder to the author.) Even indie authors, who control their own schedules and costs, must pay taxes quarterly and they aren’t even afforded the luxury of an advance! Okay, Jayne, let’s do the math: take X pink and blue and yellow dollars, stretch it over several years, minus 15% investment, minus 25% taxed. How is that number looking so far for sixty hours a week spread out over several years? Yeah, that’s how I feel most of the time. All of that aside, what was interesting to me was hearing what people thought it takes to write a book—how much money would or could (or should!) be spent on the creation of a story in a format that readers can enjoy. They focused on the prices of art, editing, format, layout, tallied costs and compared it to other creative efforts, when the truth is that that’s just the packaging. (Although packaging and marketing are *extremely* important for storytelling success—despite all our best intentions, we all still judge a book by its cover.) But it was still missing the point. The majority of what it takes to write a book isn’t the physical object—it’s time. Wouldn’t that be lovely? To have infinite amount of lifetimes to create, hours and hours to get to every story idea you’ve ever wanted to pursue and forget all about those pesky things like bills and death and taxes? Well, yeah, sure, but life is finite—there are only so many hours (and no one knows how many), which includes such things as writing as well as bills and death and taxes. I assure you, it’s not that any writer *wants* to walk away from a story, especially one that hadn’t been fully told to her/his satisfaction, but the truth is that we have to make tough choices with the precious time we’ve been given: are we going to spend time writing something with no guarantee of return or spend that time on the next project that might go somewhere? (Check the fridge. There's your answer.) Time is a precious commodity and those of us who write make writing a priority, but lest you think that’s all we do, I must point out that we have other things like day jobs, school, family, children, significant others, friends, vacations, obligations, errands and giant To Do lists just like everyone else and have no idea what we’re making for dinner, yet we are following our passions hoping to share our words with no promise of success, recognition, praise or income. That can be a hard, lonely, thankless echo chamber and knowing that we haven’t earned enough to pay for the ink cartridge and stamps is just the icing on the cake. We miss those worlds, those characters, too, but we also have to eat. So what am I saying? Am I advocating a world where the audience becomes patrons of the arts? Well, yeah. Wouldn’t that be nice? I’d love for perfect strangers to pay for my groceries, provide for my kids, fill my car with gasoline and make sure my taxes are paid on time and in exchange, produce stories for your enjoyment, entertainment and purchase. That’s what I do. In fact, that's what traditional publishing, self-publishing and crowdfunding do! Check out sites like Patreon, GoFundMe or IndieGoGo to support your favorite authors. And, yes, many use Kickstarter as a good bang-for-your-buck test to see if a project is worth doing because people want to see it. Or not. That’s our livelihood and I know plenty of writers who would love to have a crystal ball to say if it’s worth sitting down and writing their newest book idea or not and this platform is one new way to find out. It’s not the only way, but it is a way, and it’s far better to have many avenues to success than only one set of banded, golden doors. Modern storytelling is one of the toughest jobs you’ll ever love and the publishing landscape is changing faster than the channels on the TV remote so forgive us as we stumble to make sense of where publishing is going and figure out new ways to make art = rent. * There were, in fact, a lot of valid points on both sides of the debate, but the tension as far as I could tell had mostly to do with the sticker shock of honesty & transparency and then the reaction to that reaction, etc. I celebrated the New Year in Boston with family watching the parades, checking out the ice sculptures & ducking fireworks over the harbor while trying not to freeze. May 2015 be full of abundance, health, joy, happiness, peace and just enough surprises to keep life interesting! 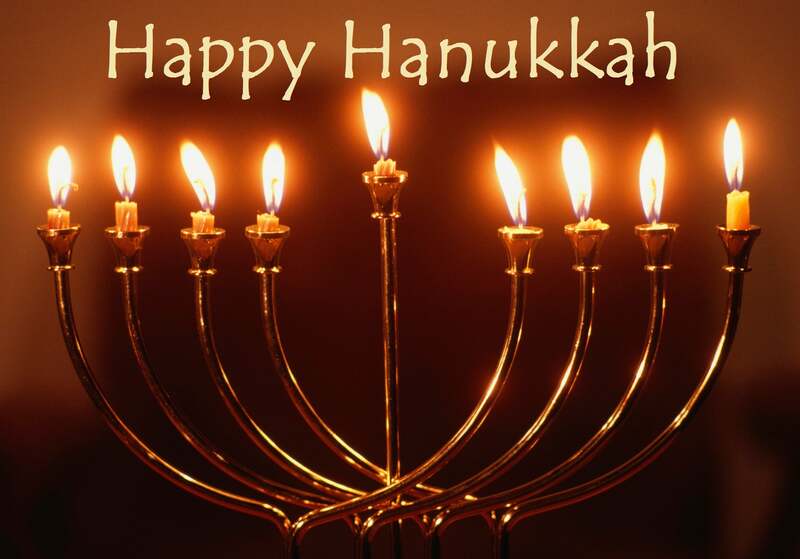 HAPPY CHANNUKAH to all those who celebrate this Festival of Lights! May we give thanks for being delivered out of darkness to celebrate with family and friends the Great Miracle of the 8 days of light. Now go forth, eat fried foods & set things on fire! I am in the final stretch of editing. It is Fun Film Friday. Have Serenade to Miette by Toniko Pantoja at Mad Artist Publishing--a little circus, a little magic, a little romance, a little badass in just under 2 minutes. Enjoy! Me: I'm going back to work. When I was little, I would spend hours lining up Legos on their ends and creating elaborate tracks through Tinker Toy constructs and Lincoln Log villages filled with Playschool people and stuffed animals. I called it "Tippyland" and my parents enjoyed the long quiets until I pestered them to come view my creation where I would magnanimously tip the first Lego over and watch the hypnotic domino-effects of a hundred or so Legos falling in rapid patterns. Hence, my latest offering: the Rube Goldberg-like official video of Ok Go's This Too Shall Pass. Too fun not to share! Enjoy! Having been on the front lines fighting this disease since it was called "the gay flu" back in the 80's, I was present at a political rally at the very first World AIDS Day, listening to the statistics and talking about reform. There have been candlelight vigils and paperclip collections, fun drives and protest marches, Live Aid and the AIDS Memorial quilt, and nothing was quite so devastating as the day a family member turned to me at Thanksgiving and said, "They cured that, didn't they? It hasn't been in the news..."
No, they haven't. And yes, there has been remarkable strides in medicine, prevention and even steps towards finding a cure, but not yet. No, not yet. Now my daughter raises funds for AMFAR and I just pinned a red ribbon to her shirt before she went to school. Be aware, be in communication & be kind to one another--that is what this day is all about.